Negotiating Tax Settlement – Legal Support for Individuals throughout Michigan and Beyond! Our Tax Resolution Attorneys are experienced in all matters including tax resolution, tax dispute, and general concerns relating to IRS tax and debt relief. Our lawyers are extremely knowledgeable in the local, state, and federal tax code, and can help you today! Our legal team works with clients throughout Michigan, Oakland County, Wayne County and Beyond. If you have an IRS tax dispute please contact us immediately. Let’s get started rebuilding your financial future. Contact our Experienced Law Firm For Help With Negotiating Tax Settlements. Settling tax debt with the IRS or a state tax agency is a frustrating and intimidating task. Not recommended, delinquent taxpayers may consider self-representation with the IRS. The best option is to hire knowledgeable professionals, i.e. IRS Tax Attorneys, CPAs, and Certified Tax Resolution Specialists in order to negotiate and settle tax debt. 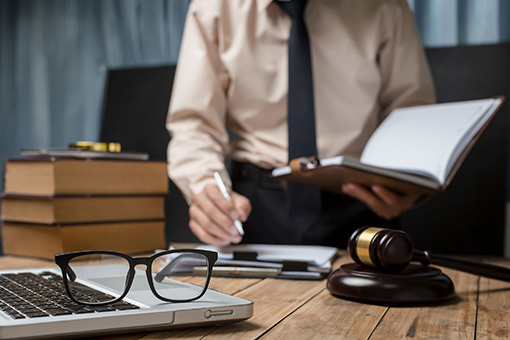 Looking for an Experienced Attorney for Negotiating a Tax Settlement for You? We can help! To collect tax debt owed, the IRS has the power to garnish wages, seize assets, and place liens on property. However, the IRS is willing to work with a taxpayer to settle and collect tax debt owed to the federal government. Avoid increasing the amount owed by working with the IRS to pay off debt in a timely manner using a settlement plan shown below. Installment agreement – A monthly payment plan to pay off tax debt. Partial payment installment –Long term installment plan used to pay off tax debt rather than one lump sum. Offer in Compromise – This program involves settlement of tax debt for less than the original amount. Qualification proof will allow for a lump sum payment or a short term reduced amount payment plan. Not currently collectible – In this situation, the IRS agrees to delay tax debt collection for the period of one year or longer. Proof of inability to pay allows the IRS to consider a declaration of uncollectible debt status. Inability to pay must be established before the taxpayer may file an appeal in order to avoid an IRS levy, seizure of assets, liens on property, and denial of termination of a settlement agreement. Bankruptcy – A last resort option, the taxpayer may be eligible to file under the Chapter 7 or Chapter 13 Bankruptcy Code. While Chapter 7 allows for full discharge of allowable tax debt owed, Chapter 13 allows for a payment plan to repay some of the tax debt while the remainder amount may be discharged. Wage Garnishments – The IRS has the power to garnish wages until the tax debt is fully paid off or until the time limitation of legally collecting tax debt has expired. During settlement, there may be room to bargain on garnishment. Bank Levy – The IRS may issue a bank levy in order to seize cash in checking or savings accounts in an effort to collect tax debt. As part of the process to resolve and settle tax debt with the IRS, obtain a release of the bank levy. Innocent Spouse Relief – If a taxpayer inherits tax debt from a spouse, and proof is provided that circumstances fit within IRS guidelines for innocent spouse tax relief, a taxpayer may not be held liable for tax debt owed to the IRS. Expiration of Statute of Limitations: The IRS has 10 years to collect all taxes, penalties, and interest owed by a taxpayer. The taxpayer should monitor the 10 year limitation period and work with the IRS to settle delinquent tax debt.